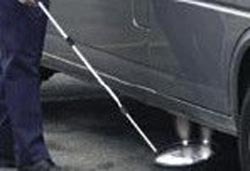 A robust "wheeled trolley" under vehicle mirror, specifically designed and developed with security personnel in mind, for searching the underside of vehicles. 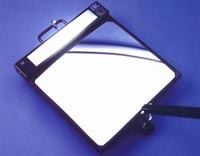 A large unbreakable polycarbonate mirror provides a wide angle image, illuminated by a powerful 12 volt 8 watt fluorescent tube. 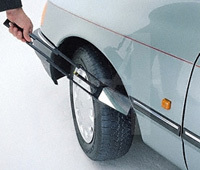 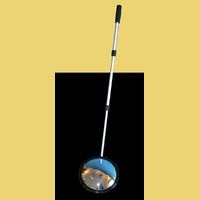 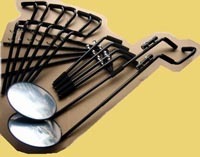 The "T" handle, which assists in tilting the mirror, is telescopic and folds away when not in use. 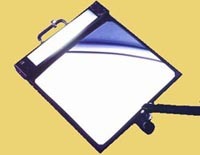 Power is supplied by rechargeable batteries, and a charging system for 110v or 240V is included. 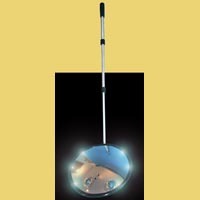 A glass convex mirror is available to special order.